Sometimes the art that excites me takes a while to catch on with others. This is among the most poignant aspects of culture. Mainstream acceptance often seems to be reserved for that which is average, obvious, or just plain conservative, while the more offbeat or quirky creations may never fully catch on. At the heart of the whole question of sophistication is this puzzle, that the works that move the sophisticate are not usually embraced by the masses. In early 2012 I had the good fortune to be sent a CD called Dowland in Dublin. Its daring approach to the composer may have been a bit ahead of its time then. I loved it but as time went by couldn’t understand why i didn’t see comparable enthusiasm around me. Sigh, there wasn’t a huge response. Maybe the idea is just a bit too sophisticated (sorry that word again) to generate a huge response. In fact the performances on the CD are almost shockingly unpretentious. The CD is inter-disciplinary, on the boundary between “folk” and early music. Michael Slattery’s singing is wonderfully direct, and some of the most beautifully moving vocals I’ve ever heard, speaking as someone who is a fan of everything from opera to lieder to rock & jazz and tin pan alley. I like Fred Astaire, Leontyne Price, Robert Merrill, Lady Gaga and lots of other people. Slattery’s singing on this CD deserves the kind of attention regularly lavished upon the people I listed. I did an interview with him, and a couple of times I alluded to Dowland via Slattery on that CD (for instance when I saw the COC’s ensemble competition more than half a year later, in November 2012). Dowland in Dublin is not about to go platinum, even if the world gradually seems to be waking up to this remarkable recording. The Toronto Consort are inviting the conspirators behind that wonderful album, namely Michael Slattery, and the ensemble La Nef, including Seán Dagher and Sylvain Bergeron, performing two concerts on March 27th & 28th . The idea for this project was sparked when, at the end of a La Nef Christmas party, Seán Dagher charmed all who were listening when he took out his cittern and began to sing “Come Again” as a folk song. Working closely with Michael Slattery, we began to strip some of Dowland’s Ayres of their complex contrapuntal accompaniments, seeking to give them a simple Celtic flavour. We hope that the music on this CD, midway between folks songs and art songs, charm you as much as it does us. Cheers! Charmed is another word for bewitched isn’t it?!? I’ve been under the spell of this magical CD ever since. I’m pleased to be interviewing both Seán Dagher & Sylvain Bergeron below, but first let me give you their official biographies. Seán Dagher, cittern, ‘ud, voice Seán Dagher is an active performer, arranger, and composer of music from various folk and classical music traditions: Celtic, Baroque, Medieval, Arabic, French-Canadian, and Maritime. He is artistic director of Skye Consort and its principal arranger. He often provides arrangements for other ensembles and artists, including La Mandragore, Pierre Lapointe, Shannon Mercer, I Furiosi, Les Voix Baroques, Les Voix Humaines and La Nef. His music has been performed across Canada and the United States. Seán Dagher has worked with the Festival du Monde Arabe creating shows of Middle Eastern and North African music. He has arranged and composed music for audio books, with story-teller and musician Suzanne De Serres Youth Program Director for La Nef, and for American author Sandra Gulland. He has been a composer and sound designer for theatre productions. He has been nominated for numerous Adisq awards and participated in the Adisq-winning CD, La Traverse Miraculeuse with La Nef and Les Charbonniers de l’enfer. Despite all that, Seán Dagher can most frequently be found singing and playing in Irish pubs. 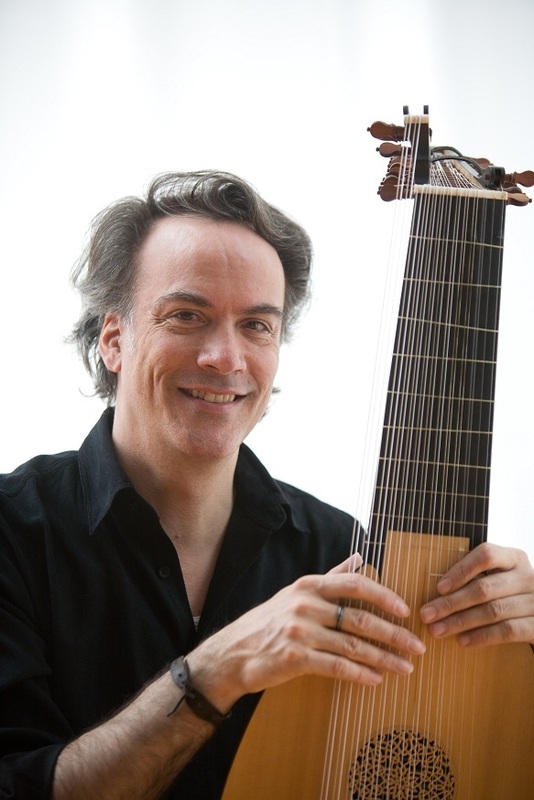 Sylvain Bergeron, lute and theorbo An accomplished performer on the lute and theorbo, Sylvain Bergeron is in high demand on the North American music scene. He gives nearly one hundred concerts each season in and alongside many internationally renowned soloists. Among these are Emma Kirkby, James Bowman, Jordi Savall, David Daniels, Magdalena Kozena, Michael Chance, Charles Daniels, Daniel Taylor, Karina Gauvin, Suzie LeBlanc, Vivica Genaux, Matthew White, Agnes Anne Azema and Agnes Melon. He works regularly with Les Violons du Roy, L’Ensemble Arion, Les Idées Heureuses, Les Boréades, Les Voix Humaines, Les Voix Baroques, Apollo’s Fire, Clavecin en concert, etc. He has made several tours through the five continents and has performed under the direction of renowned conductors. He has played in the most prestigious halls in the world, including Amsterdam’s Concertgebouw, Salle Gaveau in Paris and Lincoln Center in New York. He has participated in 70 CD recordings on the ATMA label, Dorian, Analekta, CBC PGM and several of these have won prizes and awards. His most recent solo album “The Balcarres Lute Book” (Atma) has received critical praise. 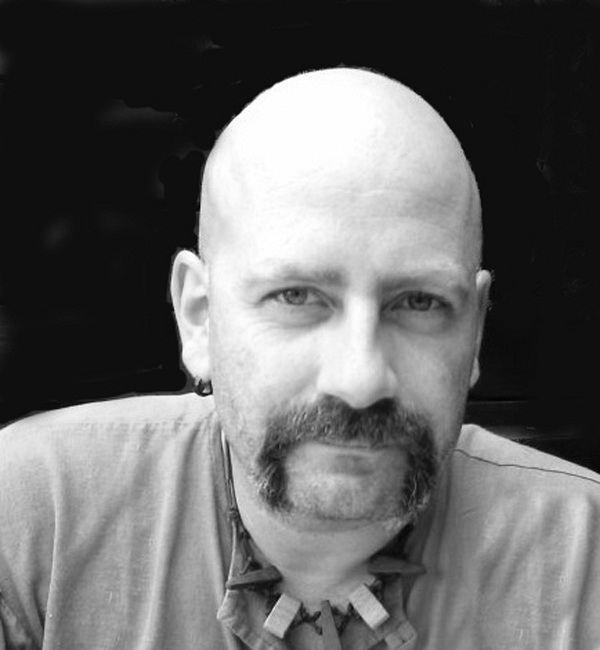 Sylvain Bergeron teaches the lute and baroque guitar at McGill University and the University of Montreal. He has given numerous lectures, workshops and master classes, including Lute Society of America, Berkeley, Vancouver, Rabat (Morocco). He has participated on panels and is often consulted as a specialist in ancient plucked instruments for various recording projects and publishing. The ten questions are directed at the pair, with five to get a sense of who they are, and five more to open up a conversation about Dowland in Dublin. Sylvain: I have a bit of both. My father was an intellectual, a history and art lover, quite disconnected from his own time; my mother was a very generous, attentive, and practical person, who also played the piano. I like to think I took the best of each! Sean: I have elements of both. They’re pretty similar in their outlooks and mannerisms so it’s hard to tell sometime what comes from whom. But my mum’s the musician so I definitely identify and connect with that. Sometimes I catch myself looking or acting like my father without meaning to. While I don’t mind that, really, I would rather consciously emulate someone than accidentally fall into their quirks. 2-What is the best thing or worst thing about your musical life? Sylvain: The best thing is surely the fact that I’ve managed a successful musical career, playing the lute, playing only the music I like, with people I like. I am grateful to life for that, and to my family who supported me (in both senses of the word). Sean: The best thing is the diversity. I play in Irish pubs. I do arrangements for choirs and chamber ensembles. I curate 2 concert series, for which I also set up and do the sound reinforcement. I have recorded sea shanties for video games. I have played and toured with the Montreal Symphony Orchestra. I play in a band that does medieval Mediterranean music. I also play in a tavern that sets itself in medieval France. I am glad I get to do all of that because doing just one of those things might get boring. Sean: I’d like to listen to lots of different things in small doses. All styles. I’m not much of a tv or movie watcher. Sylvain: I am still very fond of 1970s progressive rock bands : Genesis, Jethro Tull, etc. Sean: I wish I could speak every language. Sylvain: I have always been pretty bad with numbers. My wife is also a musician (bad with numbers too), so our daughter is in accounting. 5-When you’re just relaxing and not working what is your favorite thing to do? Sean: I love playing games. Cards, board games, trivia games, etc. I’m terrible at games and lose most of the time. But I love playing anyway. Five more about creating Dowland on Dublin, both the CD and the upcoming concert with La Nef, Michael Slattery and Toronto Consort on March 27 & 28. “ The idea for this project was sparked when, at the end of a La Nef Christmas party, Seán Dagher charmed all who were listening when he took out his cittern and began to sing “Come Again” as a folk song. Sylvain: Well, I first hesitated before writing these lines in the booklet – which may seem a bit unorthodox in a normal classical music format – but it really captures the idea quite well. Sean: I actually didn’t know anything about Dowland’s possible Irish-ness. I just liked the song, “Come Again”, when I heard someone sing it so I learnt a few verses to sing in pubs or for pleasure. I knew it worked as a folk-song because nobody ever noticed that there was anything unusual about it. While I was pleased about that, I sometimes wished that someone would recognize it. At the La Nef Christmas party we were singing Christmas carols and we were taking turns playing the piano. The later it got the worse I got at piano so I eventually took out my cittern, which I have gotten used to playing at all hours of the night. Because I had an early-music crowd on hand I knew they would appreciate Come Again and find humour in my rendition of it. Never did I think it would lead to anything down the road. 2-The CD Dowland in Dublin combines La Nef instrumentals and vocals from Michael Slattery, who are coming to Toronto to perform with the Toronto Consort March 27th & 28th . How did you find Slattery, and please talk about working with him. Sean: I met Michael Slattery when he was singing at the Lamecque (NB) Baroque Festival in 2003. My wife Amanda Keesmaat was playing at the festival and I went along with our then 5-month-old baby. At the lobster party after one of the concerts we all started singing. Michael sang the best renditions of “She’ll be coming round the mountain” that I have ever heard. I guessed from his last name that he might know an Irish song or two. So we sang a couple and that was that. I had been looking for a direction for the 2nd CD of my group Skye Consort so the next day Michael and I agreed to work together. He was already planning an Irish CD so it worked out perfectly. “The Irish Heart” was recorded in the Clayton (NY) Opera House the following summer. In a way, Dowland in Dublin was a follow-up to that. But it was the perfect sequel: we had a new direction, Dowland, and a new collaborator, Sylvain. That brought a whole new batch of ideas and prevented anything from becoming stale or rehashed. 3-What do you love about Dowland & his music? Sylvain: I have played Dowland’s music for years and years, with respectful singers and ensembles, within the more traditional early music format. Sean, who was rather green and fresh with Dowland, created most of the arrangements. Michael collaborated quite a lot too – much more than you would expect from a singer – and I acted as an artistic director. The result of Dowland in Dublin is fascinating because it combines total freedom, respect and excellence of interpretation. Of course, I still play the normal Dowland regularly with great satisfaction too. Sean: I love the melodies. I love that they are so malleable. His original settings are beautiful and I wasn’t trying to improve on any of them. But I really love how the same melody can be set in so many different ways with only the smallest of adjustments, or none at all. I also love the bawdy songs. They can sound so serious and classical but when you listen closely it can get downright ribald. Actually all of the poetry is amazing, even the serious and love songs. 4-Please talk about the challenges of exploring & re-framing Dowland into this other context for us. Sylvain: It was a bit risky but we all agreed that it worth it, so we dove into the project with great commitment and passion. So far, the vast majority of feedback and reviews we have had are extremely positive (but you cannot please everybody). Life is short and artists should not be ruled by dogmas. Our next collaboration with Michael will bring us to Henry Purcell’s music (October 3, 2015 at Salle Bourgie in Montreal). Sean: Part of the challenge is in the perception. The project has sometimes been overlooked by both the classical and the folk worlds. I don’t mind this, actually. It means we’re hitting the mark right down the middle. Mostly, though, people have been open to the idea. I even heard an audience member say it could have been even more Irish. The main challenge was keeping the arrangements diverse. I didn’t want to give all the songs the same treatment I had given to Come Again. Fortunately Michael and Sylvain were there as co-arrangers so I think we achieved a good balance. 5-Is there anyone out there who you particularly admire, and who has influenced you? Sean: I’ve been lucky to play with some amazing musicians, both it in the folk and classical worlds and I’ve tried to learn from them all. The folk and jazz musicians I’ve worked with have really taught me about the value of improvisation. When I write melodies or counter-melodies I really try to imagine what my colleagues would invent on the spot. Then I write that down. The classical musicians I’ve worked with have taught me chamber music skills and precision. And that it’s important to have a party after a concert. Sylvain: I always been a big Sean Dhager fan! The Toronto Consort present “Dowland in Dublin” with La Nef and Michael Slattery, 8:00 p.m. March 27th and 28th at Trinity-St. Paul’s Centre, 427 Bloor Street West. This entry was posted in Interviews, Music and musicology, Popular music & culture and tagged La Nef, Michael Slattery, Sean Dagher, Sylvain Bergeron. Bookmark the permalink.